The best of German car care now at Autogeek! SONAX is a leading car care manufacturer in Germany with representation in more than 70 countries. 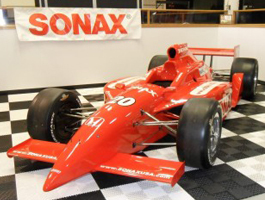 With leading car care products and strong ties to Formula 1 racing, SONAX is one of the most recognizable and favored brands in the world. Now SONAX is available in the U.S. through SONAX USA. 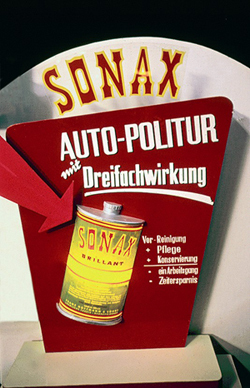 SONAX, like many German car care companies, got its start in the rich mineral mines of Germany. In 1905, the great grandfather of the present junior head of SONAX extracted silica, an extremely fine mineral still used in many car polishes. Under the original name Sona, the company developed a silver polish made from silica. Starting in the 1950s, the company then turned their attention to car polish and added an x to the Sona name. Sonax began establishing itself as one of the leading makers of car care products in the world and has continued this trend for more than half a century. Today, Sonax still uses minerals mined in Neuburg in the manufacture of Sonax car care products. SONAX's secret to success is their commitment to improving their products. SONAX's researchers are constantly refining and updating their development techniques. By working with leading auto manufacturers, SONAX ensures that their products work well with the latest paint finishes and auto materials. Because vehicles have changed over time, so too has SONAX. Their testing methods have kept SONAX ahead of the competition for decades. SONAX is a leader in nanotechnology. Paint care products made with ultra fine nano particles have made possible extremely long lasting protection and a superb shine, combined with unusually quick and easy application. In addition, SONAX tests its products under real-world conditions with testing methods unique to the industry. The quality of SONAX products has been confirmed by independent institutions such as DEKRA (an international safety organization), the TUV (a German inspection agency), and the ADAC (German motoring club). Just as important as the quality of SONAX products is the safety of the environment. SONAX was one of the first companies to introduce environmentally pro-active formulas. The company follows strict guidelines during all phases of product development to ensure effective and environmentally friendly products. The SONAX name goes beyond car care. 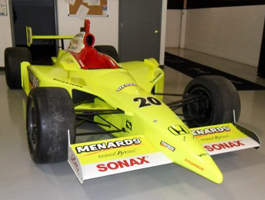 Sonax’s distinctive red logo has adorned Formula 1 cars driven by Jacques Villeneuve, Ayrton Senna, Hanns-Joachim Stuck, Michael Schumacher, and Heinz-Herald Frentzen. Currently, Sonax is the official supplier of Team McLaren Mercedes, Team Arden International in GP2, British Touring Car Championship, Australian V8 Supercars Series, American Champ Car Atlantic Championship, and many international teams. As one of the United States' largest distributors of European-made car care products, Autogeek.net was chosen by SONAX U.S.A. to be one of a few select U.S. retailers. We are pleased to bring the very best of German car care to you.